The Arcade game follows being in November 1918 on Toluca Lake where the boat The Little Baroness tragically vanishes with all crew and passengers on board. 75 years later Eric and Tina have come to Silent Hill after reading up on its dark history. Along with a group of friends they decide to visit the town for the weekend. 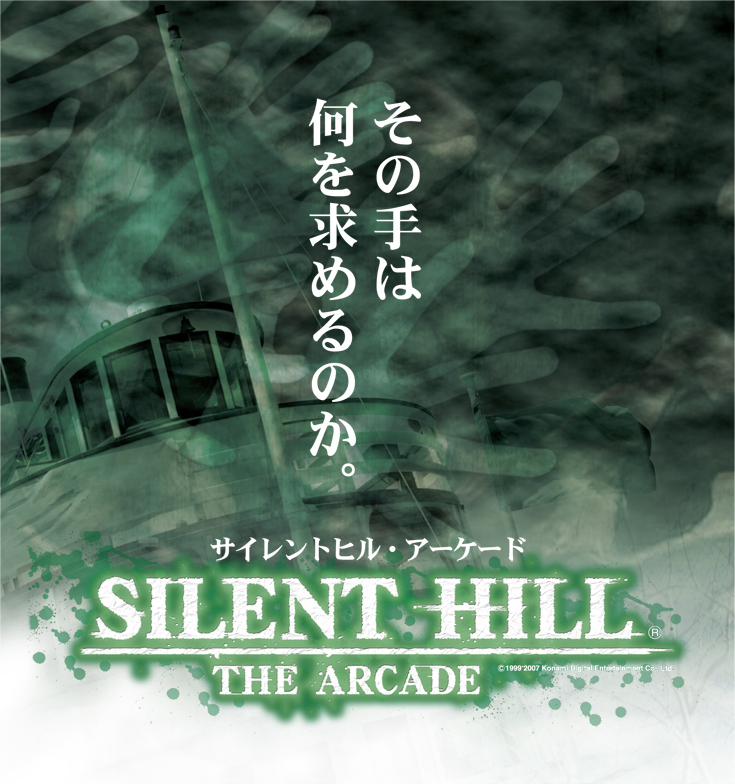 Soon after one of their friends goes missing and is up to them to search the town of Silent Hill to find her. 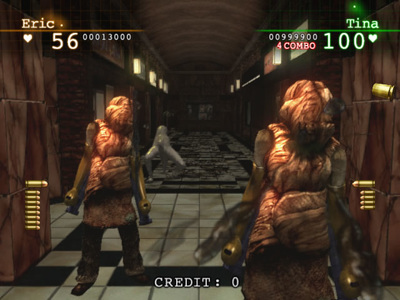 Various creatures from previous games make an appearance in the arcade game, including Pyramid Head. 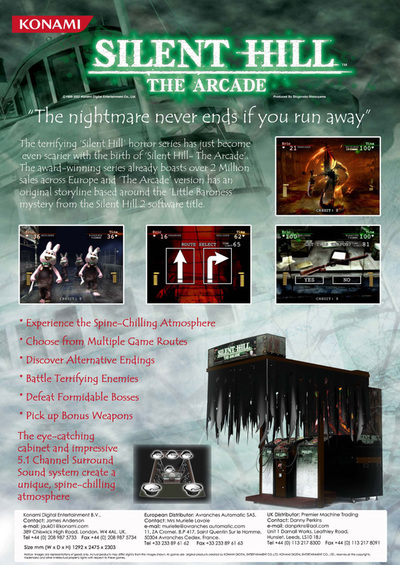 Silent Hill: The arcade was first released in Japan in 2007 and later in Europe in 2008 and contains a total of 3 chapters which are split into 3 sections. Even though the game is only a Arcade game it still contains a total of 4 endings with one of those being a UFO ending. Eric is one of two main characters in the Arcade game. 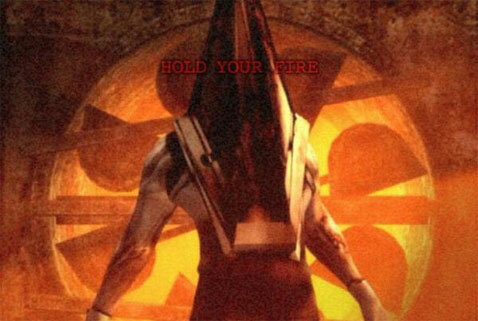 He lived in Silent Hill as a child. His parents passed away and he ends up living with his Aunt and Uncle. His main reason for coming to Silent Hill is due to the fact his great grandfather was the captain of the Little Baroness. Tina is the other main character in the game. She's a university student who came to Silent Hill along with Eric to meet Emilie, who happens to be her pen pal. Emilie is only 9 years old and attends the Midwich Elementary School. She is also pen pals with Tina. Hannah was on board the Little Baroness when it vanished in 1918. A character found in the other world cemetery. It is not known how he ends up in Silent Hill but the player will have a 60 second period to help save him. If you don't save him in 60 seconds he dies. 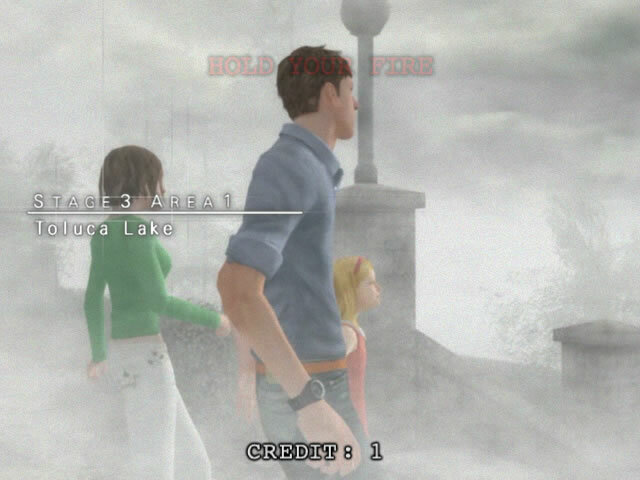 Bill drives Tina, Jessie and Eric to Silent Hill. He is attached near the motel they are staying in by a number of creatures. 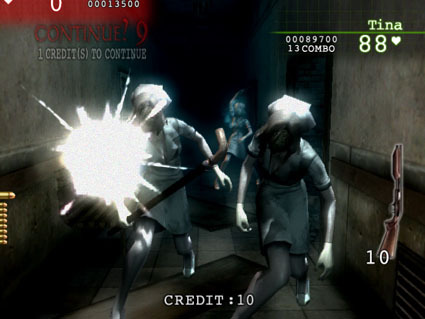 The player must help defend Bill from the attack. Jessie goes to Silent Hill along with Bill, Tina and Eric. She is abducted from the Jacks Inn Motel that they are staying in. When they eventually find her she is in Brookhaven Hospital being attacked. The player must try and save her before she dies. Ryan is a friend of Tina and Eric and must be saved in the Toluca Prison scenario of the game. 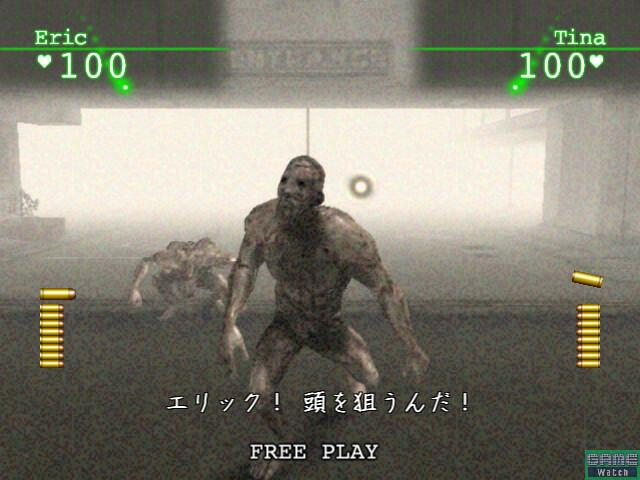 Once again the player must try and save him before he dies. Below is all the creatures from the Arcade. 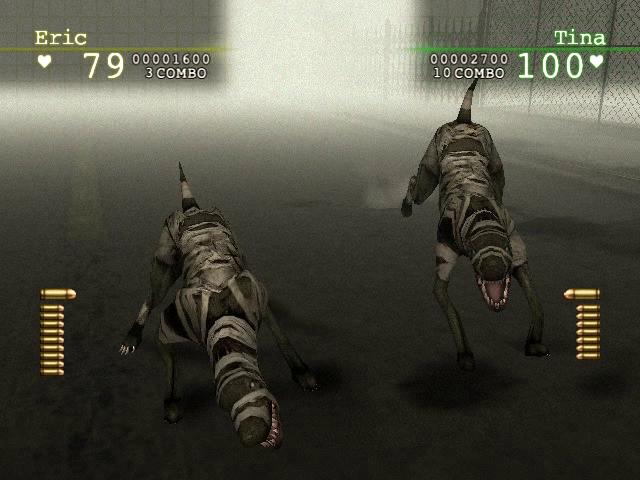 Three of these creatures are unique to the game with the rest returning from other Silent Hill game releases. Mama is a boss in the game. ​She is a mixture of mannequin and doll. Her body is also covered in spikes. 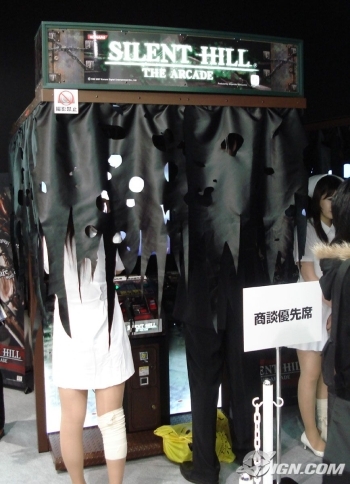 This particular creature is also unique to the arcade game. 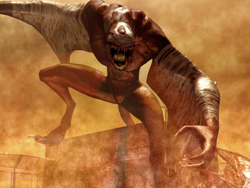 The Tuberculosis is once again a boss in the game and also another unique creature. It has one clawed hand while the other hand is fixed to an axe like weapon. The Tuberculosis gives off the impression it is in constant pain due to the fact it thrashes around constantly. 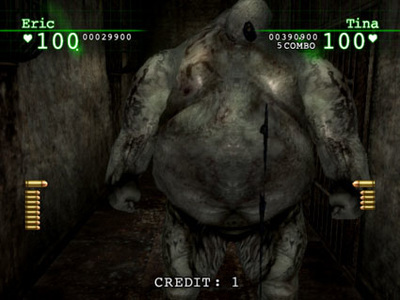 ​The Phantom is the final boss in the game. She is a large head that appears to have no eyes. An arm appears from her mouth which also has sharp teeth. Her hair always flow all over the place. 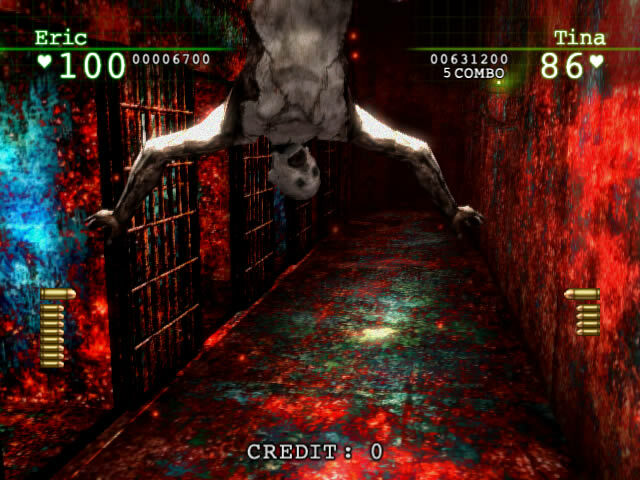 The Phantom is another unique creature for the arcade game. 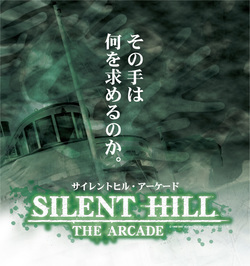 Silent Hill: The Arcade soundtrack was composed by Akira Yamaoka and features a total of 34 tracks. 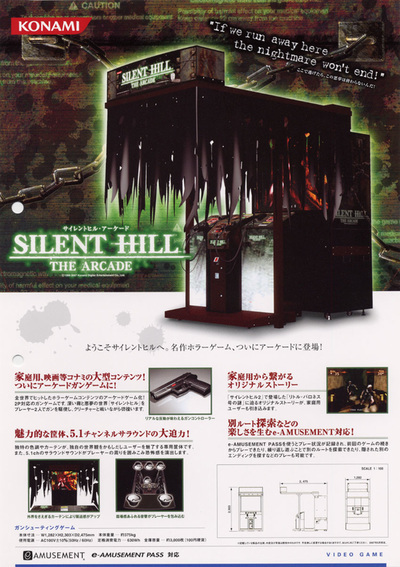 Some of the tracks also appear on the Silent Hill Sounds Box. 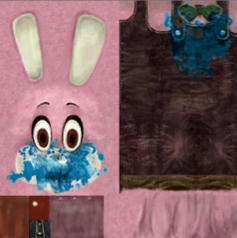 Below is a downloadable zip file which contains 3 folders full of texture files from the game.